Almost one-in-three Jewish people across Europe have been directly targeted by antisemitic harassment. 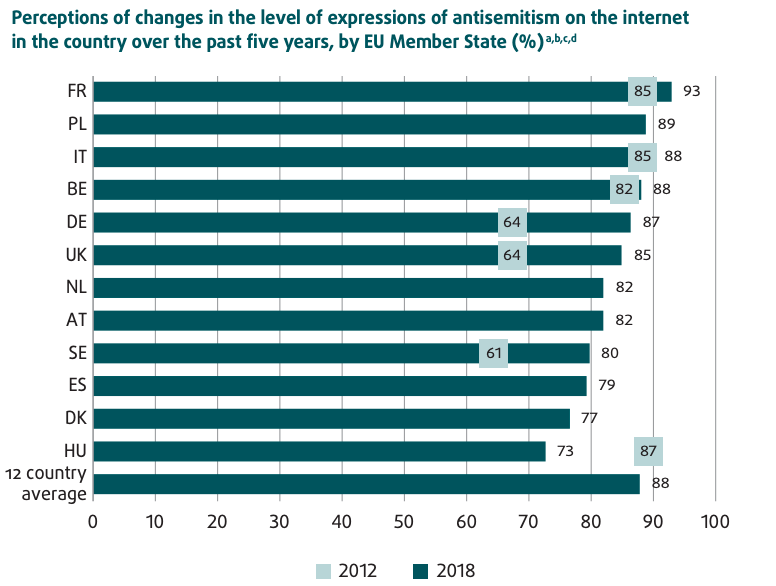 From online abuse to being harassed in public, thousands of people told the European Union’s Agency for Fundamental Rights (FRA) antisemitism is impacting their daily lives. 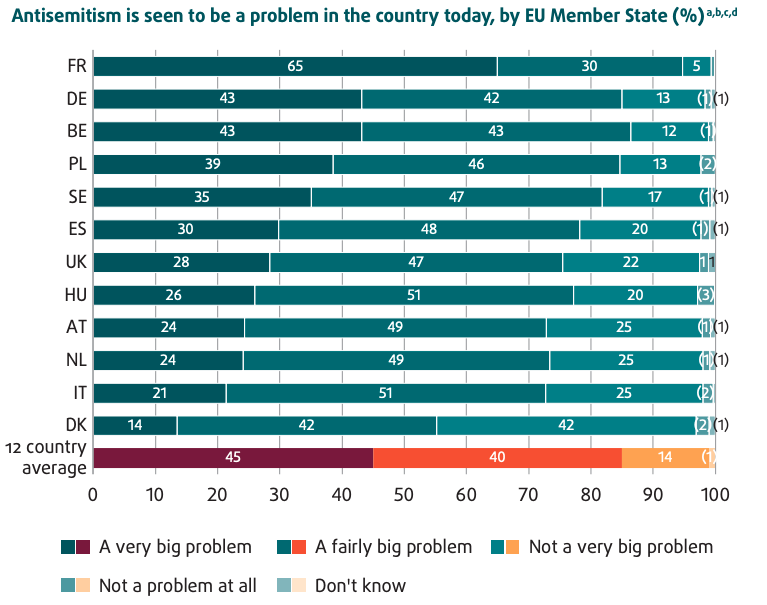 More than 80% of respondents in Belgium, France, Germany, Poland, and Sweden regard antisemitism as “a very big” or “a fairly big” problem. But in France, that rises to 95%. 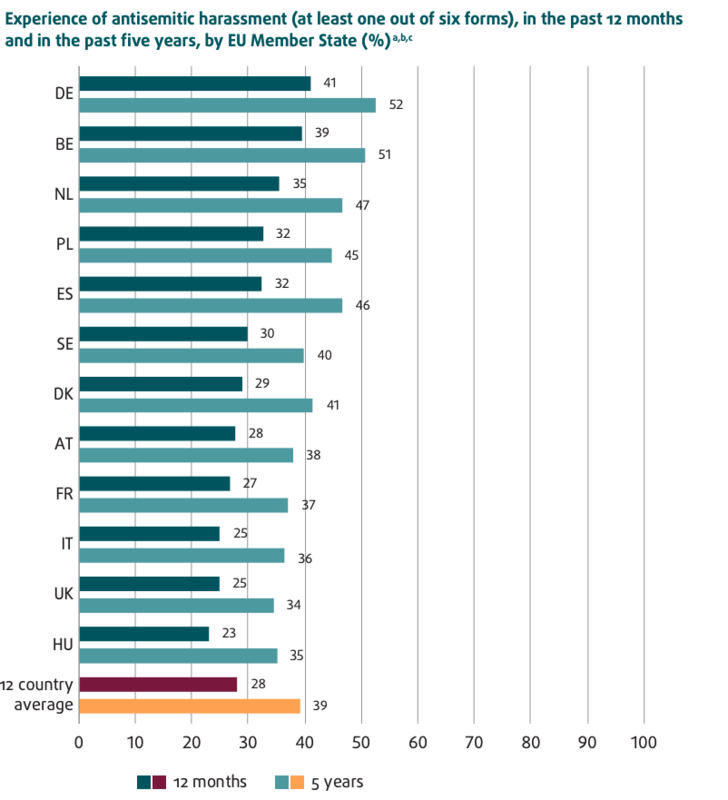 When compared with the FRA’s 2012 report, the UK has seen a steep increase in the number of Jews who feel antisemitism is a problem – up from 48% in 2012 to 75% for 2018. Antisemitism is endemic in the online space.